Our unique location means you can explore the inviting Spencer Gulf waters from kayaking to catching a kingfish. You can also discover the magic of the Outback or nearby Flinders Ranges before returning to all the comforts our regional city offers. With many accommodation options, Port Augusta is the ideal location to base yourself while you explore the region. There is much to be discovered about the history of the city as a traditional meeting place for Aboriginal people and more recently as an Outback shipping port supporting the pastoral industry. 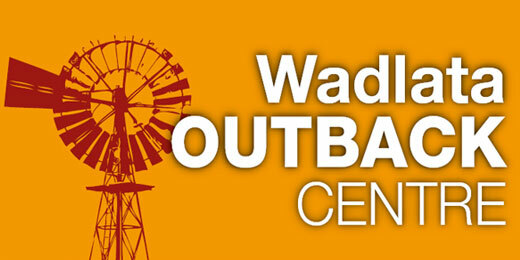 One of the State's major tourism attractions, the Wadlata Outback Centre's Tunnel of Time tells many local and regional stories. It is also the starting point for the Heritage Walk through the central business district which showcases the many historic buildings and features of Port Augusta. Discover the beauty of Port Augusta by walking or riding along the coastal path which follows the shores of the Spencer Gulf where you will enjoy the tranquillity and beauty of the stunning scenery. The walk takes you to one of the region's premier attractions, the Australian Arid Lands Botanic Garden - and don't be surprised if you see a dolphin or two on the way. Port Augusta is a city that has adapted and changed its fortunes over time, embracing new industry and technologies. Opening in early 2016, the new Sundrop Farm facility grows tomatoes and other produce in its greenhouses using new technologies to harvest solar energy and desalinate water for the crops. We have also just been connected to the National Broadband Network and are among the 20 percent of Australians that will enjoy high speed reliable internet access. 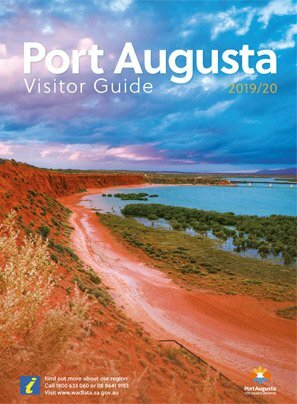 We invite you to discover for yourself the many attractions Port Augusta offers by visiting the Port Augusta Visitor Information Centre at Wadlata. On behalf of all residents, we welcome you to our City and hope you enjoy the warmth and hospitality Port Augusta is known for during your stay.